How do homemade fizzing bath salts sound? Yes, fizzing, as in how soda fizzes as you pour it into a glass. Sounds like fun, right? The special feature of this homemade fizzing bath salts recipe is the way it makes your bath hiss magically. Sprinkle some evenly, all over your bath and see the magic! I'd rate this recipe as intermediate - you need to mix two dyes together to get the green color. But the fun more than makes up for it! Just for the record - The above picture is NOT the bath salts you will be making. 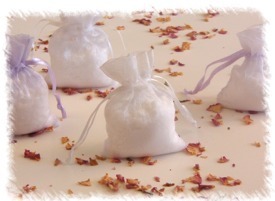 I forgot to get a picture of them :-( That picture is of himalayan bath salts which you will be using in this recipe! A lot of people are asking where to get ingredients on recipes I post - So I've decided to link to them directly with suppliers I would recommend. That way if you don't have them or don't have a favorite supplier lined up you can still get your hands on them. As some of you may have heard already, there is a new salt supplier freshly arrived on the scene, which is shaking things up a bit. Midwest Sea Salt Company (used to be called Midwest Bath Salt Company - not sure why the change) is based out of Ohio. Whether this qualifies as the midwest is up for debate, but one thing is for sure - their prices are a fair sight south of their competition. I did a quick comparison with another supplier I frequently recommend for their large selection. Midwest Sea Salt Company (discount code at bottom) vs From Nature With Love. Note: Complicating my efforts is the fact that they have different shipping sizes. However, I merely found the closest sizes possible, and checked out the difference. Has the creative person in you convinced you to make some bath salts? That’s great! You’re going to enjoy the process. It’s simple and fun. First, gather your equipment. You’ll need some mixing bowls, measuring spoons, and utensils. A quick rummage in your kitchen and you’ll probably find all you need, but it’s a good idea to keep a set of equipment exclusively for making bath salts. Why? Well, let’s just say it’s no fun if your lavender bath salts end up smelling more like crab cakes! And you wouldn’t enjoy your luscious chocolate cake if it smelt of patchouli either! So, separate set of equipment it is. There’s a growing trend for everything organic and natural today. Be it food, clothing, or beauty products, avoiding artificial additives and going all natural is getting increasingly popular. The choice to go natural may be for various reasons, but one most common one is sensitive skin. Some skin types may not tolerate strong essential oils or colourants. So, are you keen on everything natural and wondering if you can carry on that trend while making your natural bath salts? Yes, you can! Don’t you just hate that moment when you bend down to pick up something and stop mid way because your back suddenly decides to torture you? Or that dull nagging throb in your lower back that made you miss a fun day out with friends? Sounds familiar? Back pain – one of the most common complaints we seem to be hearing all the time. There are several ways to tackle the situation, like medication, exercise, massage therapy, etc. One very effective way method of back pain relief is the regular use of bath salts. 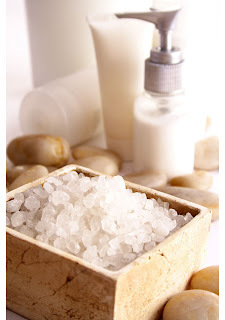 This article will tell you all about how bath salts recipes can provide relief from back pain. Who wouldn’t like a warm relaxing bath and if that can offer sweet back pain relief, why not? 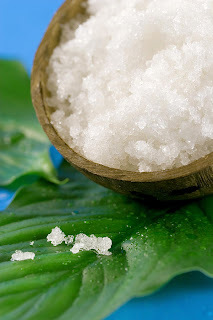 When making homemade bath salts perhaps the most popular choice of the base salt is Epsom salt. 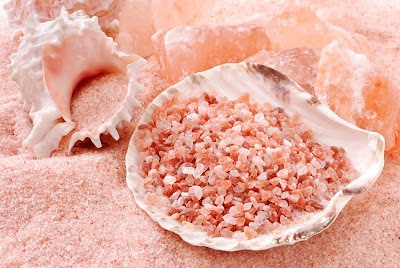 There are, of course, several other options like Dead Sea salt, sea salt, Himalayan pink salt, etc. But Homemade Epsom salts seem to be the beloved favourite. It’s as if you were deciding what cookies to bake. You have choc-mint, cherry -oatmeal, honey-macadamia and choc-chip to choose from. Mmm...some interesting flavours there, yet somehow you always settle for good old choc-chip. Nothing like an old favourite to warm your heart. We digress. Epsom salt. 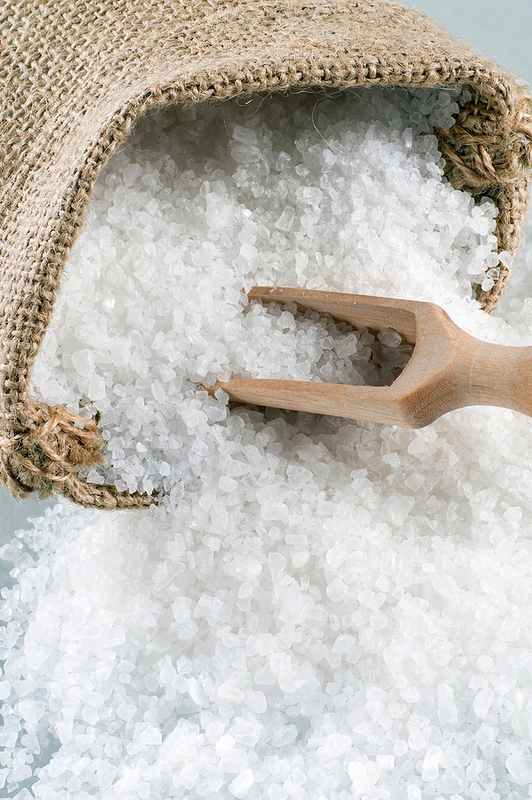 We’re talking about this all time favourite ingredient in many a bath salts maker’s recipes. This humble salt, which originated in a place called Epsom in England, is simply magnesium sulphate (if we have to get all geeky). But don’t let its simplicity deceive you. It’s packed full of goodness. And there are other nice things about it, which is why it’s easily the first choice when making bath salts, especially if you’re a beginner. When discussing the making of bath salts, it's important to think about what ingredients go into the process, and more specifically, what are the best ingredients to choose in order to achieve the highest quality final product. An ingredient found frequently in many bath salt recipes is glycerin (or, "liquid glycerin"). 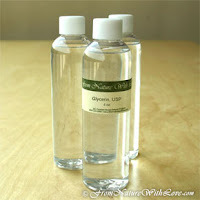 Glycerin is a rich, concentrated, colorless and odorless liquid. Found naturally in plant extracts and animal lipids, it is known for its beneficial health and beauty applications, and used in "natural" bath and body products. Because of its odorless and colorless attributes, it is a common addition to bath salts; it does not interfere with added essential oils, fragrances, and pure or unbleached Epsom or Sea Salts, which are often white in color. 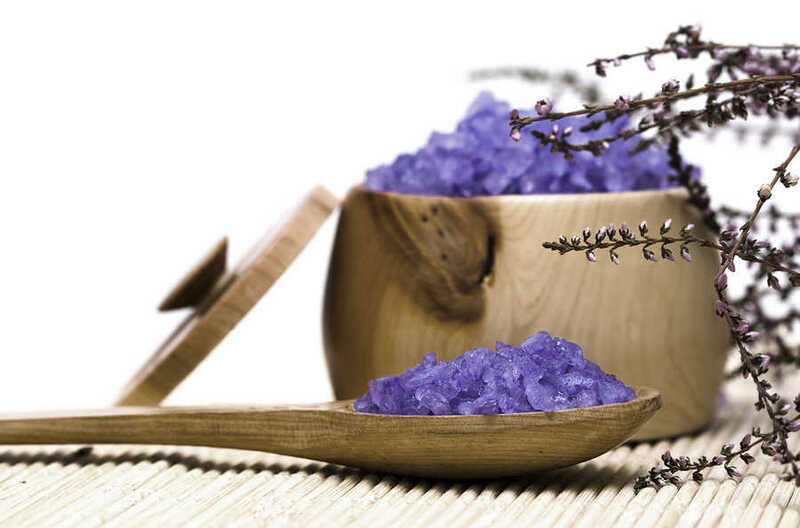 The unique properties and benefits of glycerin in bath salts allow it to be classified for use mainly as an emollient, humectant or lubricant in skin care products. Generally thought of as a water-loving humectant, glycerin often gets used to improve hydration, drawing water in and thought to improve skin's overall moisture. Buy or Make Your Own Bath Salts? What could be more refreshing than a relaxing bath when your exhausted body is pleading for relief? Okay, maybe a nice aromatherapy massage comes close. But for that, you’ll have to drive to the massage parlour that burns fragrant incense (and a hole in your pocket too.) And you have to drive back home in traffic which ultimately beats the whole point – relaxation! A bath, on the other hand, is easier. It’s in the comfort of your home, all it takes is warm water and some lovely bath salts and when you’re done, you simply slip into your comfy pyjamas and get straight into bed with a content sigh and a smile. You must be sufficiently convinced by now, let’s proceed to more bath talk then, shall we? You’ve had a long, hard day at work. Exhaustion has been creeping in steadily, all day long and you just can’t wait to be back home. How does a nice, relaxing bath sound? Heavenly, right? To start with, they relax all those tense and sore muscles. Toxins build up in our system with stress and body fatigue and these salts work their way to drain out all those tension creating toxins. That’s how you get that ‘oh-so-heavenly’ feeling when you’re in a warm bath with Epsom salts. An Epsom salt bath benefits you if you have been long suffering from arthritis, back pain or muscle spasms. It helps the body calm down and soothes those tense knots. If you’ve always longed for that radiant glow to your skin, Epsom salts may be the solution. Regular baths with these wondrous salts will help draw out all the unwanted oils, allowing the skin to maintain its natural, balanced chemical properties. Say ‘hello’ to fresher, more radiant skin. They work wonders in providing relief for skin conditions like eczema, psoriasis and dry itchy skin. They are also great for insect bites and other minor skin irritations. Life today is stressful. We’re working longer hours, we’re dealing with so much pressure and we all want to prove ourselves by staying ahead in the run. It’s only fair that we give our over worked bodies the much needed chance to wind down. While a relaxing day in a beautiful spa by the beach sounds wonderful, it may not always be possible. But with a little bit of effort, you can create something special right at home. Get yourself some Epsom salts, draw a nice warm bath, add in a few drops of your favourite scent and you’ll be transported to relaxation paradise! The natural property of these salts is to increase the buoyancy of your body in the water and that’s how you get that wonderful feeling of floating on a bed of clouds. Sounds tempting, doesn’t it? So what are you waiting for? Try the benefits of an Epsom salts bath tonight. Light a few candles put on some nice music and unwind after a long day’s work. Meetings, reports, sales calls, deadlines, assignments, paper work – the list could go on and on. All this in a day’s work! Every day the human body is pushed more and more beyond what it can comfortably handle. Adrenalin keeps you going during the day. (Okay, maybe those quick gossip sessions at lunch or that much needed cup of hot coffee helps you stay sane too) Somehow you manage to make it to the end of the day. That glorious moment when the clock strikes five and when you can call it a day and head to the comfort of your home. Wouldn’t it be just the perfect thing if there was someplace you could escape to, that would automatically calm you down, help you unwind and bring your body back to its natural harmony? Think Avatar style glass domed stations. Get in, shut this world out and get transported to paradise. Oh well, one can dream, can’t they? But the pace at which the world is moving today, that may just be possible very soon. But for now, let’s live in the present. So, we were saying, a long day at work. You step inside your house and slip those shoes off, drop that bag/briefcase on the floor and plonk yourself on the couch. Ah! Close your eyes and you can almost feel bliss! Still thinking of that Avatar idea? Well, you bet! Tell you what, maybe, just maybe, you could give yourself that magical experience. Actually, you could escape to your happy place every day if you wanted to. How? You are forgetting one of life’s simple pleasures called a bath. A bath. Yes, a bath. A nice, warm, delightful bath. You may just scoff at the oh-so-ordinary suggestion, but don’t underestimate the therapeutical goodness of the good old relaxing bath. You want to make it extra special? Of course, you deserve more than the ordinary, right? Plus there’s this Avatar thing we’ve been talking about all along. Consider a bath salts soak. Your ticket to a deeply relaxing, spa-like experience, right in the comfort of your own home. Easy as 1-2-3. Simply run a warm bath, add your favourite bath salts, and sink in with all abandon. 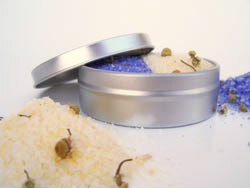 Bath salts come in a variety of textures, blends, colours and fragrances. Choose one that appeals to you most. Lavender, for example is known for its relaxing and calming properties. 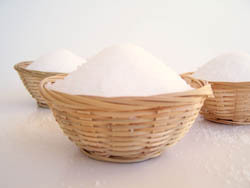 Or if you prefer the all natural, fragrance free kind then go for plain Epsom salts. Whatever you choose, you are guaranteed to have a very deep relaxing experience. Bath salts soaks have a wonderful quality of increasing your buoyancy in water and you get an amazing feeling of being light and floating. So peaceful and soothing! Why not take it up a notch? 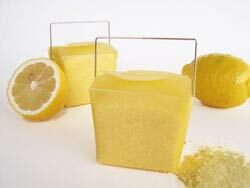 Light some of your favourite scented candles, play some soft music and simply relax in your soaking salts. Close your eyes, breathe deeply and you’ll be in your happy place in an instant. A lot of people believe that relaxation is the only benefit of an Epsom salt bath, but this is not the case. While the calming effects of an Epsom salts bath do undisputed, there are many more health benefits that you will want to consider the next time you decide to fill up the bath tub. When you’re under a lot of stress—both physical and mental—your body’s muscles can tense up and create painful or restricted movement. This can lead to injuries as well as overall body fatigue. To combat this, an Epsom salts bath can be utilized. These salts help to drain out the toxins that are built up by this tension and help to release the overall soreness. 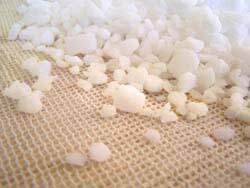 Those that suffer from muscle spasms, arthritis and back pain can all benefit from an Epsom salt bath. Using liquid glycerin in bath salts - this ingredient is frequently included in many recipes (just search online - you'll find them), yet it is one ingredient that we would definitely NOT recommend. One of the many properties of glycerin is moisture-absorbing. While this can be useful when making lotions and lip balms, it is definitely a no-no when making bath salts. The end result is the glycerin drawing moisture from the environment into the bath salts and causing them to clump, leaving you with salts that would be more useful in a bowling alley than a bath tub! Using food colorings in your salts - while this may work at first, you'll find that food colorings are definitely not the best when coloring bath salts. The colorant tends not to disperse evenly around the bath tub, and leaves you with nothing but wisps of dye instead of the aqua blue or a nice pink coloring the water. We recommend using proper colorants that are considered cosmetics safe. You can learn more common mistakes by reading this article "The 7 Most Common Mistakes of Making Bath Salts"
Homemade Bath Salt are the perfect gift for many occasions -- they are inexpensive and easy to make, while always being appreciated as a considerate gift. 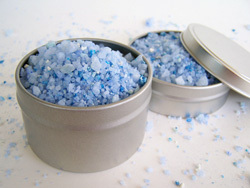 Homemade bath salts is also a great way to personalize a gift. Because you're choosing the various ingredients as well as the presentation, you can create a gift that shows how much you care without it being a lot of work. The health benefits are also considerable since you can choose exactly which ingredients, salts and moisturizers you want to include in your bath salts, and you can customize the homemade bath salts to suit the individual person. Read more about why giving your own homemade bath salt may be the perfect gift for that hard-to-please person during any occasion! Click here to read the full article.